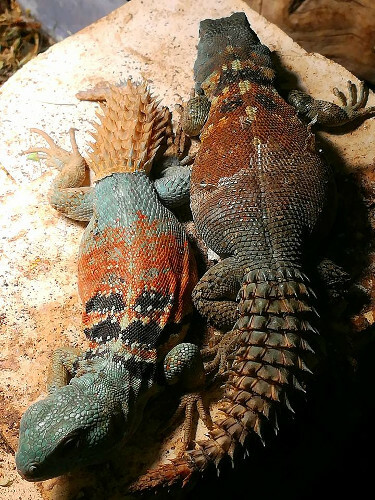 Ctenosaura defensor breeding was very difficult since unfortunately the animals were WC and four years ago I started with a group of 3 animals that needed a long period of acclimatization. 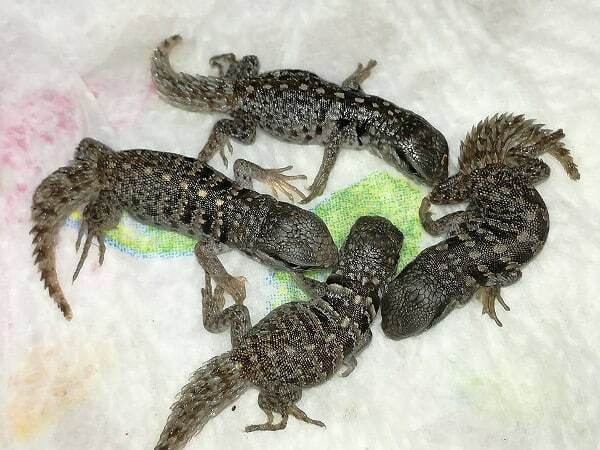 After a great deal of work to keep the animals clean and to add weight with adequate nutrition, I chose among the individuals a tighter pair and I stacked them alone in a new terrarium. First of all provided for them a damp hide spot under the hot spot that they could use as a hiding place and as a hypothetical future deposition area. The hiding place was made up of a damp river sand covered with bricks and bark and always kept very hot from the proximity of the spot. 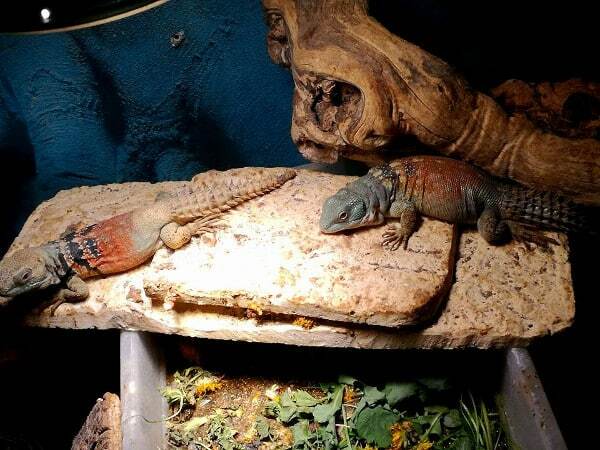 It took two years for the pair living together, to gain weight (especially the female before being pregnant doubled her weight), become familiar with the terrarium in order for them to breed. I emulated a period of dry heat increasing humidity gradually from September and did not notice any breeding behaviors. Then I to introduce another male in the terrarium for a few days. 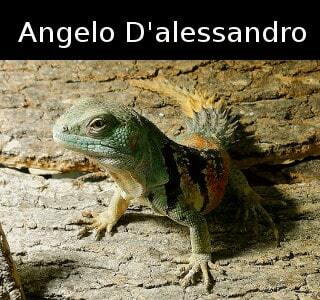 Consequently, the introduction of the other male stimulated the territorial behavior of the two males by triggering the most symbolic fighting (bites on the spinal tails) which consequently stimulated the dominant male to pair with the female. After a few days I noticed some clear signs of bites on the hips of the female that testified the mating. In the next 70 days the female her appetite increased by consuming calcium-rich food daily. As her form have changed in the last few days before laying you could see a bunch grape form where egg shapes were very evidently. She always spending more time in the hot/humid hiding place. After about 72 days during the night, the female dug a 0.15 meters deep pit where she laid 7 fertile eggs. She was exhausted after digging already a week before to find the ideal moisture gradient for the eggs. 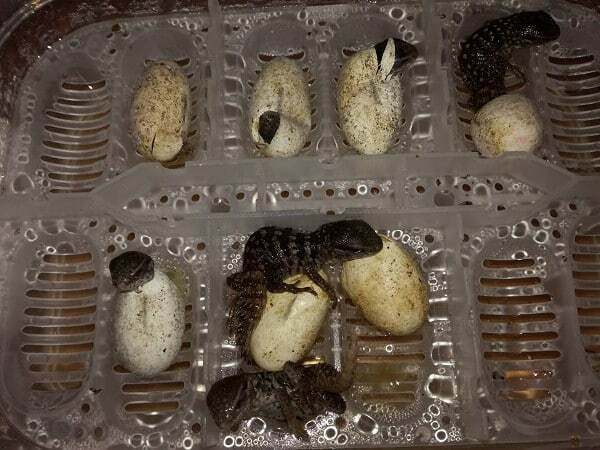 The eggs were immediately harvested and placed in an incubation box with suspension technique with only water and incubated at 29 C (F). After 70 days of incubation they finally hatched. The babies were immediately placed in an intermediate chamber in the incubator where they spent 2 days and then moved to the final terrarium with paper as a substrate, low water bowl and a bowl for repashy powder and micro zoophoba morio and tenebrio molitor. 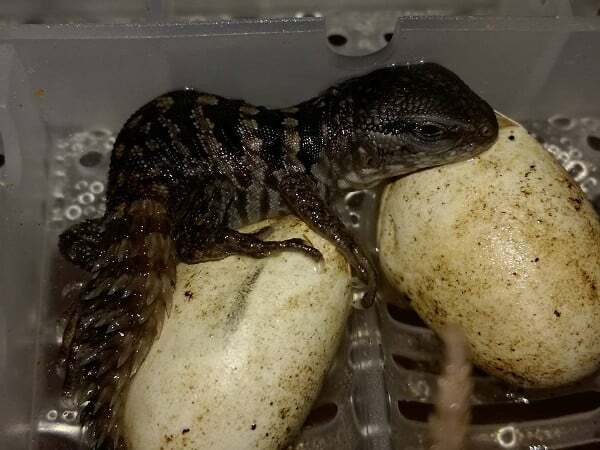 For the complete care guideline on Ctenosaura defensor check out our profile.